I am available to look after your pet in your own home, or in mine, while you are away. I only take one animal at a time into my home, and as I am in the house most of the time your pet will receive exclusive attention and almost continuous company. I enjoy walking, so your dog will get at least two walks per day of about one hour each. 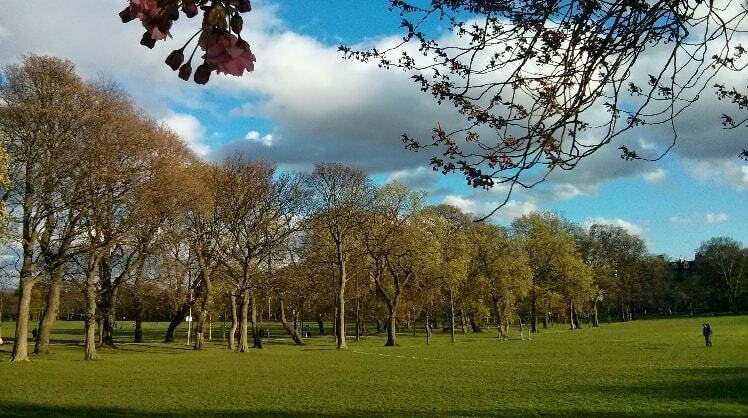 Walks will take place on Bruntsfield Links or the Meadows; both large pleasant park areas adjacent to my house. There may be occasional trips to the promenade at Portobello or the Queens Park. There are never any other animals in the house; neither are there any children, so the atmosphere in the house is quiet and peaceful. The house is heated all year, 24 hours a day and the boiler is safety checked annually. There are no smokers in the house and a mains powered smoke detector. Whilst in the house your animal will have the run of the house, and be treated as a member of the household. You will also recieve plenty of updates and photos of your pet during its stay. In short, if you want your dog to receive the best of attention on his/her holidays, call me. I look forward to getting to meet you and your pet companion soon! No fuss and no worries, came back to a happy cat. Great to receive the daily pictures while away. Thoroughly recommended! Pilar was fantastic... cant recommend her enough. Sent photos and very reliable. Will book again.